The new Nikon mirrorless cameras have been announced and with that comes all the opinions on who these cameras are for. Should professionals use these cameras? The pros of the new Nikon cameras will hopefully push Sony to improve on their system too. A mirrorless camera with the weather sealing of a D850 is a huge improvement to many landscape photographers. Let us hope Sony will do something about this in the future. Nevertheless, as we say in Denmark, “The trees does not grow into the heavens.” Spec-wise the Nikon and Sony mirrorless cameras look very alike with only minor differences. 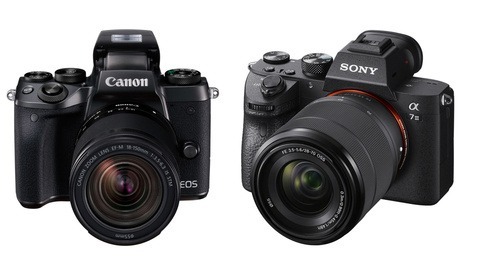 The Z6 and Z7 are supposed to compete directly with the a7R III and a7 III. This is a bit of a disappointment to those who wanted something new. Northrup even goes as far as to not recommending the Nikon mirrorless to professionals. As he stresses though, it is of course always up to the individual photographer to make the final judgment. Check out the comparison and preview video of the Z6 and Z7 above to hear why. What are your thoughts on the pros and cons of the Nikon mirrorless system? Sam, the new Nikon has only ONE CARD SLOT, no second backup. When a card fails there is a good chance you will not recover the images from it. It does not matter how many cards you have, you can only use one in the camera. So, you planed and saved for months, go for the trip and half way through your card fails. All the images you took are gone. You should backup every day but you potentially will loose at least everything you shot since your last backup. Having one card slot is a dumb and stupid move from Nikon. Not the first nor the last I am afraid. Without question, Sam. I run single card cameras and would buy a new camera for that. I've had dual card cameras for as long as they've been available and set them to backup when important but, honestly, I've only ever had one card fail and wouldn't have lost any photos in that case, had there not been a backup. Have you ever lost any photos due to a failed card? Yes of course I have, and other pros have too including Tony Northrup and Jared Polin. it is just unacceptable and irresponsible when you are getting paid by a client, not to have redundancy to cover irreplaceable event coverage. Would you skydive without a backup parachute just because your main chute had never failed before. You can try and dismiss this, but Nikon has cost themselves some sales here as this is a deal-breaker for many. Sorry that's a Stupid analogy! "Sky diving with out a back up parachute!" That's a life saving back-up. A Failed Memory card is Not! If your livelihood depends on photography, not just a single shoot but your reputation, it can feel like a life saving backup. Winner for the most over the top response to not having 2 card slots! One day I missed work because the battery in my car failed. How did I move on with my life? Should I now have redundant batteries in my car? The risk is you lose some picture on what, 1 job in 10,000? Is that career over? What if your camera over-heats and destroys your memory cards? What your sensor goes bad and you don't notice until you have missed 50 shots that much in the info is trash? What if you break that super important lens? What if you get physically ill? i drive a E500, it has 2 batteries. And you should shoot with 2 cameras, have prime and zoom lenses and a second shooter. BOOM! I can understand the pro wanting to mitigate risk. The memory card is only one link in the data integrity chain though and the new ones are pretty darned reliable. 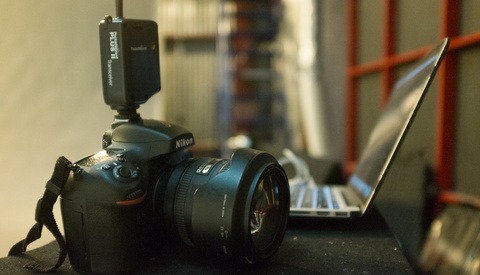 The camera has wifi and Bluetooth, I wonder if it can automatically back up to your computer over wifi while shooting. You actually have a valid point but you do what you have to. Dual memory cards haven't always been available. As a side note, I wouldn't reference Tony Northrup or Jared Polin, not that they aren't pros but too many people dismiss them as hacks. or Canon's professional DSLR's, not mirrorless. if not, you do not have any redundance when shoting, because your camera are the first single point of failure (after the person holding the camera). I have had 1 card fail, a new 64 gig 1000x CF 100$ card. It was an important shoot too, really screwed me. Were you able to salvage their trust in you, if not the shoot? If I went to Africa, I would not go there with one camera. First and foremost, cameras also fail. And, 1) I woulds take shots with both cameras, 2) I would back up every night. I shoot a lot of weddings where the video is only on one card so I also shoot with three cameras. I do not remove the card from the camera until after I download the videos through USB and have several backups. I do the same procedure for stills at weddings. Plus, it is on a XQD card which is a lot more robust than SD, CFast or CompactFlash cards. With CFast and CompactFlash, I never remove the cards because of the pins. With SD, they are fragile and bend and have fallen apart. I agree that taking out and inserting cards do damage them, I have a couple of those (hoping to fix them one day?). Still, I AM ON VACATION!! :-) I have a hard time carrying one camera now you want me to carry two? For an important safari trip I would definitely take a second body and lots of cards and batteries but regardless, none of it will save me when a card fails and I have few hundreds unrecoverable images on it. We are talking about a camera that has one card slot, not how many cameras we should carry. One card is a stupid move from Nikon! I have to say that the A6xxx series is super compact and light. As a backup it works well. 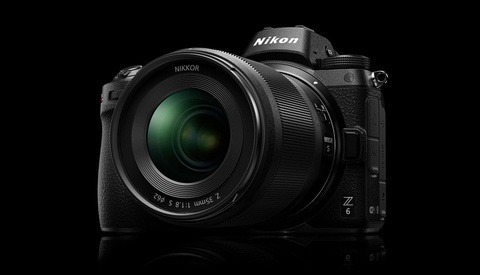 If the the F lenses can work well with the Nikon mirrorless then the Z is now on my wish list. I agree it's foolish but how much, depends on what their target market is. These cameras seem to be straddling two, admittedly overlapping, segments. Probably because they've only got the two cameras and are trying to reach the broadest segment possible. If their choice was one XQD or two SD, for space considerations, I'd be hard pressed to make that choice. If they'd chosen two SD cards, how many people would complain about that? Keep in mind, the Z7 is moving a lot of data that would be bottlenecked by SD, especially in backup mode.